I’m Dave Williams and it’s #TravelTuesday here on Scott’s blog. This week, I’m going to tip most articles on their head. 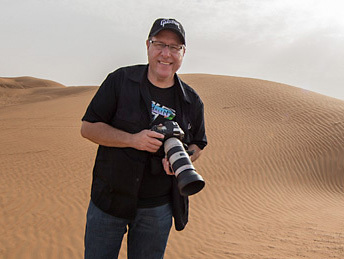 When we start out in photography, we seek inspiration and education from all manner of sources—YouTube, KelbyOne, magazines, blogs, workshops— but I think the most important way to learn is to make mistakes. I’m not saying make all the mistakes I’ve made—for example, don’t drop your camera from a rock on the coast of Iceland straight into a rock pool (it survived), or don’t continuously trek to a remote location to shoot only to realise when you arrive that you have one bar left on your battery. I’m talking about other mistakes. We learn in life from mistakes, and often it’s the best way to learn. A combination of both regret and education, mistakes are something from which we learn how to do something and how not to do something, as the lesson from the experience is etched into our memory. Shooting at too high an ISO and having an overly noisy image is one of the mistakes that’s important to make in order to understand how your camera’s sensor interacts with the available light, and how your manipulation of the camera’s settings affect the final image. The extra effort that would have gone into using a tripod and shooting a longer exposure at a lower ISO would be the fix and the lesson to learn in such circumstances. Speaking of ISO, when I used to shoot weddings, I lost track of the number of times I’d be shooting inside a beautiful church at a high ISO to balance the tonal range of the images, but then stepped outside continuing to shoot at that high ISO and ruining the first handful of images. It was essentially a learning curve—it happened a few times, but once I eventually got it in my mind, it never happened again! On the same sort of level, one thing that used to often happen when I was shooting in the high north during winter, is that I would go out to shoot the Northern Lights (or at least look for them!) and have my camera set on a long exposure to capture the motion, with a high ISO to be sensitive to the level of light coming at me (which I obviously wouldn’t overlook), but I’d also have the autofocus switched off! The following morning I’d grab the camera, having seen a cool-looking mountain or something, and shoot it, having adjusted the ISO and shutter speed to suit, but forgotten about the autofocus! Again, once I’d made the mistake a few times, it was set in my mind and it hasn’t happened since. And again, on the same sort of level, the cold, in this case. Have you ever had a wet tripod and not dried it off properly? The result is terrible—trust me! It’s a lesson not forgotten when everything seizes up! See the big shadow, here, in the sky over Turkey? A reminder to clean the sensor or lens is learned from the mistake of not doing just that! Making mistakes is very important. I’d like to say we only make them once, and although that is often the case, it’s not always the case. Nevertheless, when we make mistakes, we (sooner or later) won’t repeat them and will get our time to shine and get it right every time. It’s in our nature to make mistakes, and it’s also in our nature to learn from them. I just wish I didn’t make the same mistake twice! Just be yourself; it’ll all fall into place.